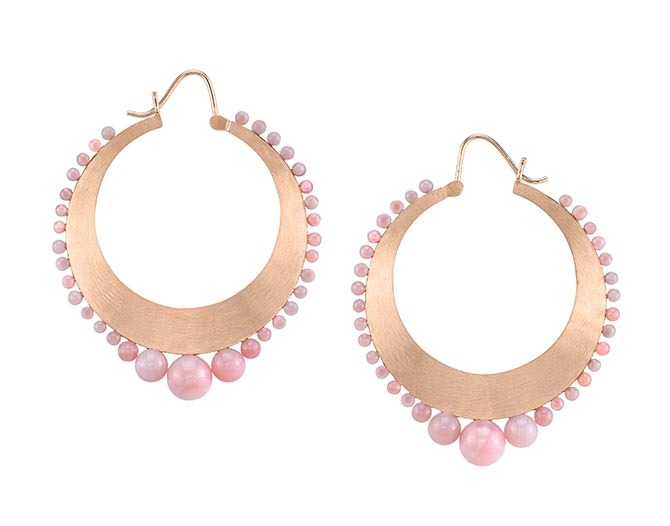 Bang, like a firework, suddenly the Fourth of July is just about here. 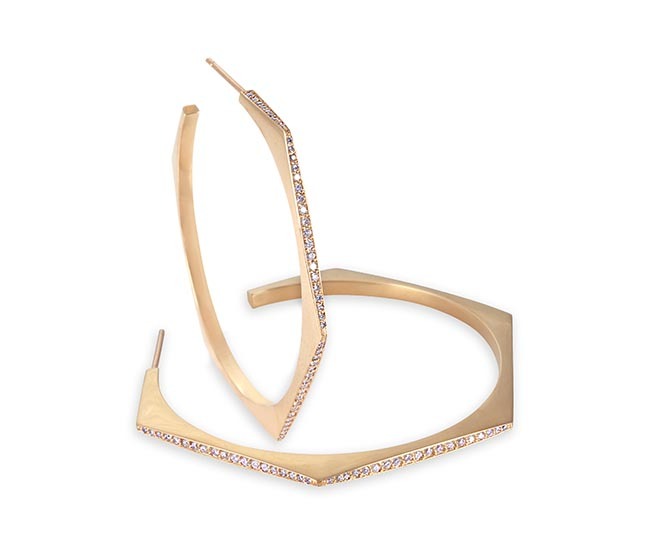 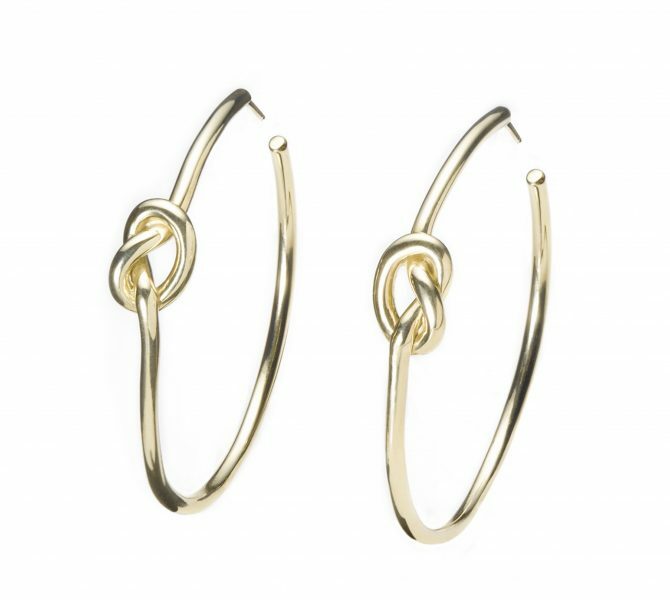 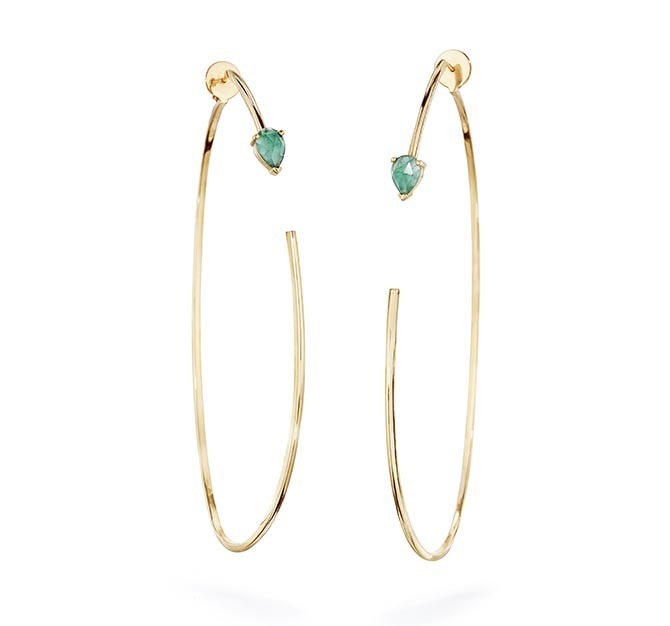 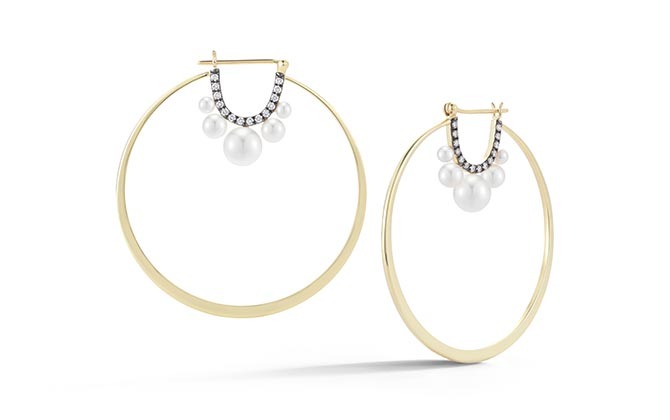 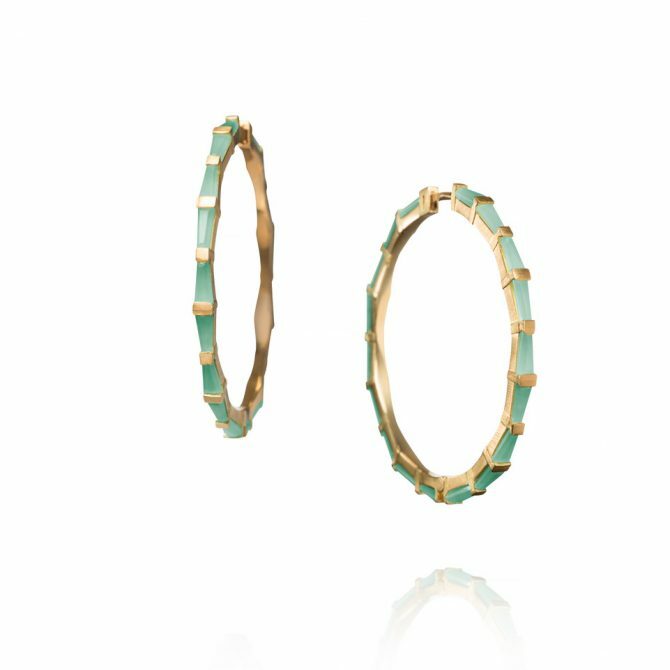 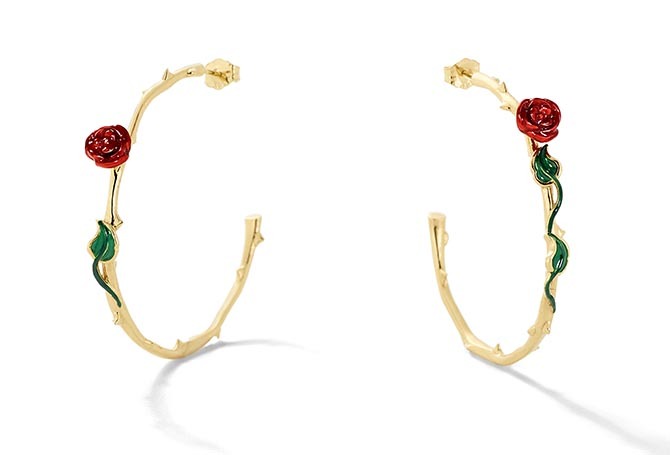 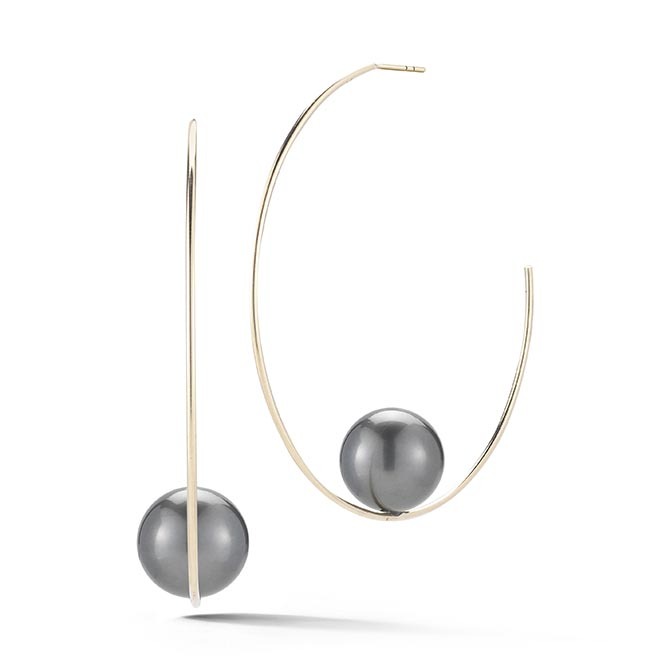 On the jewelry calendar that means, hoops. 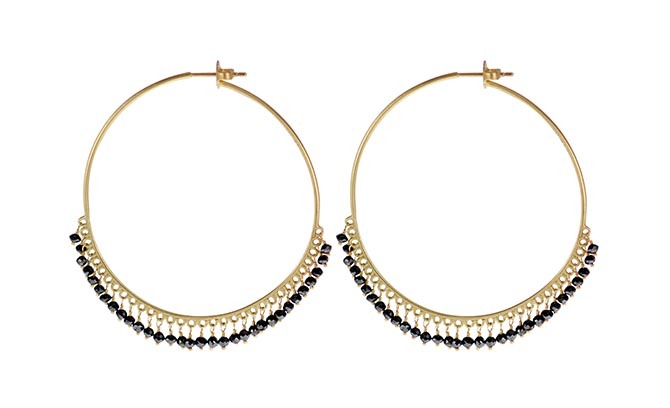 Jennifer practices what she preaches and makes hoops up and down the price scale in different sizes and widths. 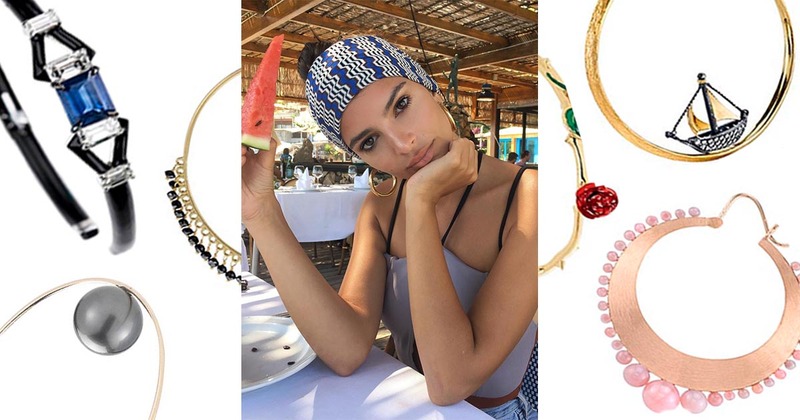 Emily Ratajkowski (in the photo above) has been wearing Jennifer’s Samira Hoops steadily for weeks. 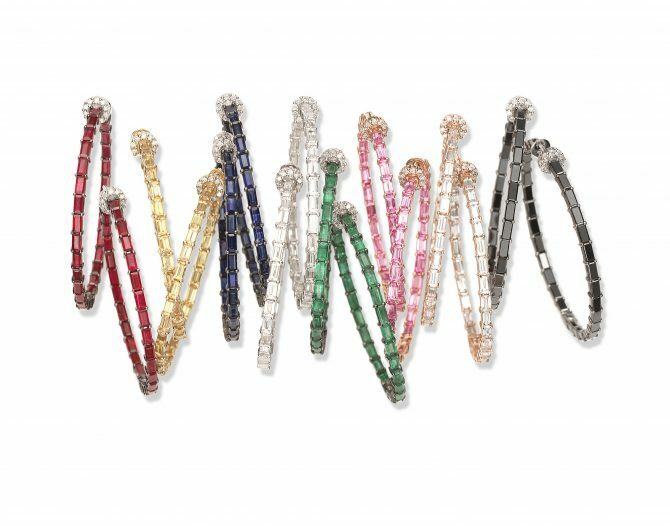 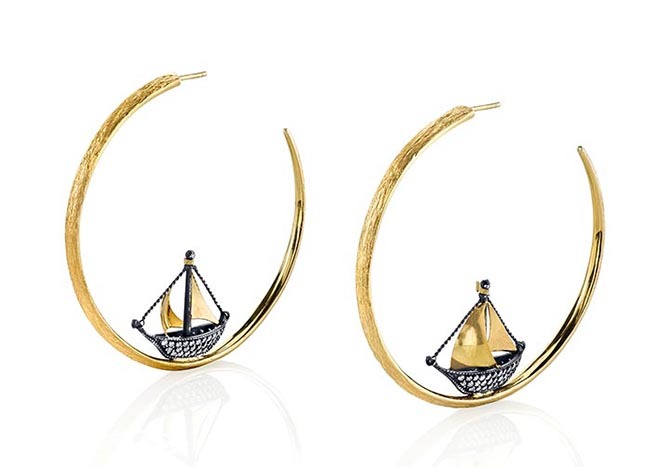 Other designers also work the form in all kinds of variations reflecting the spirit of their collections. 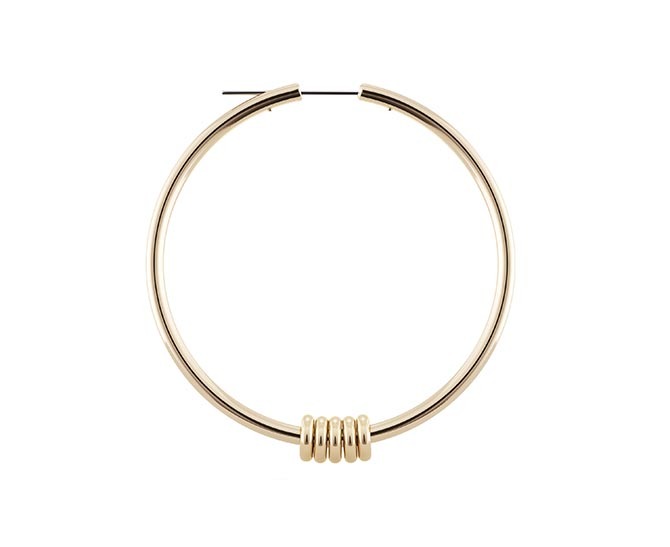 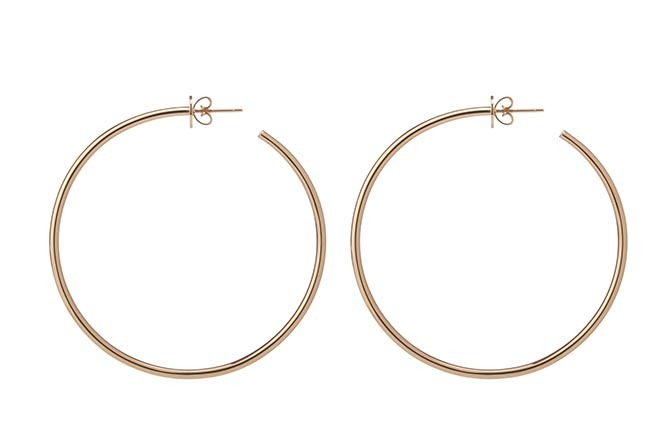 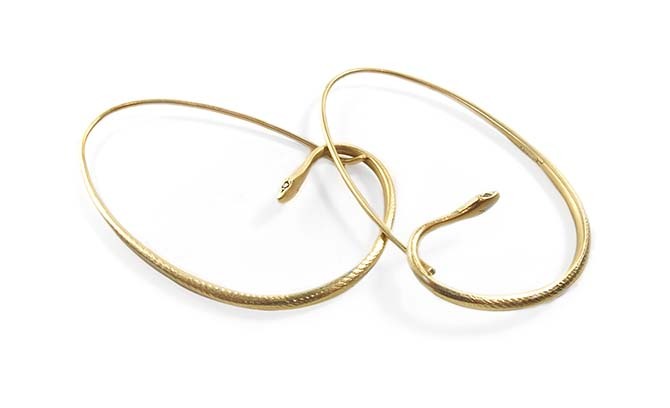 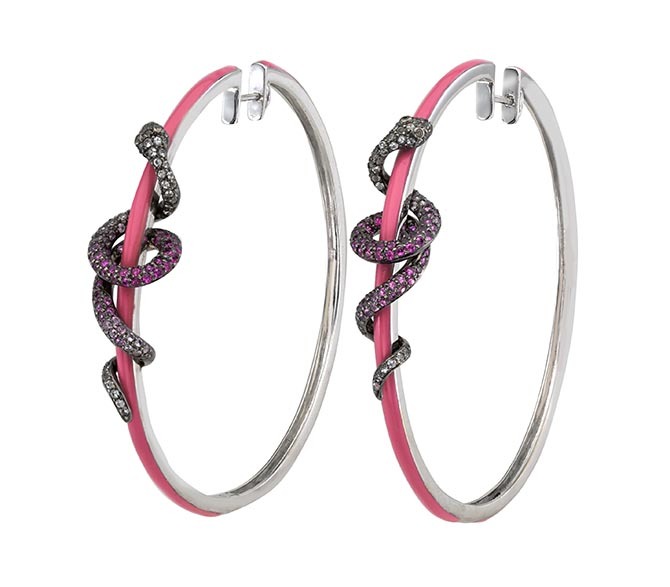 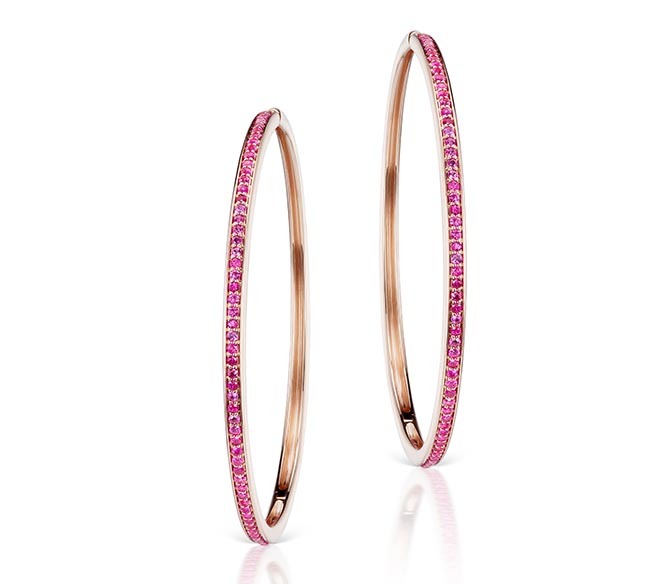 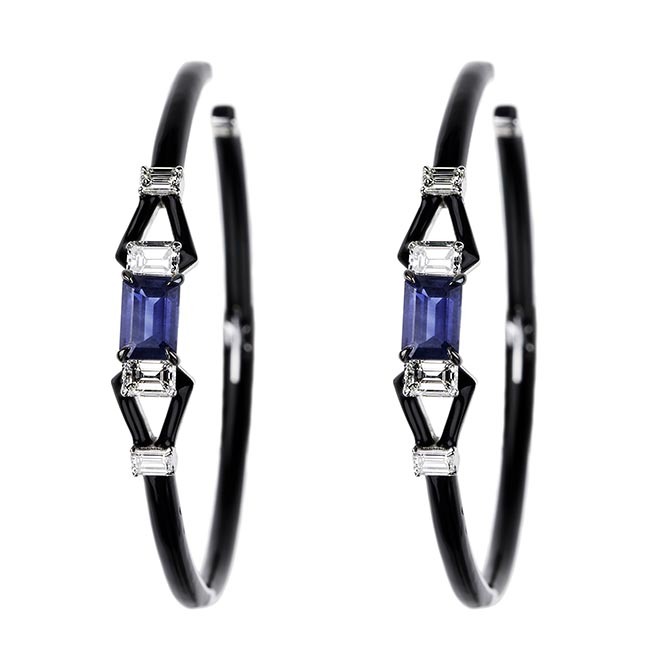 Here are some of the best hoops that will keep you looking good as the mercury rises.